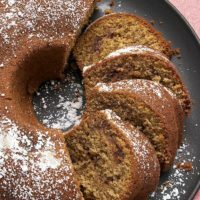 Peanut Butter Bundt Cake is exactly what you want when nothing but a peanut butter treat will do! 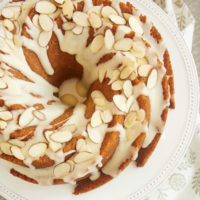 Peanut Butter Bundt Cake is THE cake for peanut butter lovers like me. 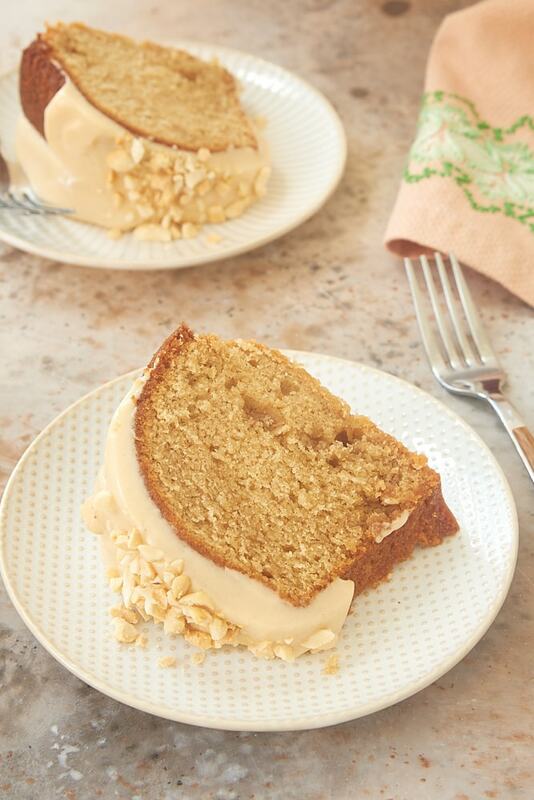 It’s ALL about the peanut butter here, from the cake to the glaze. As a lifelong peanut butter fan, that gets me pretty excited about dessert! 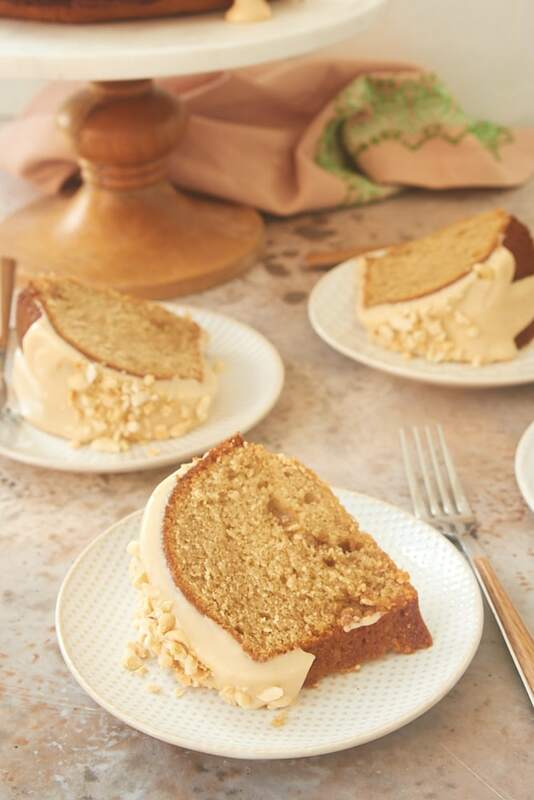 The cake itself mixes quickly and easily with a good dose of peanut butter. I love how soft and moist it is! It’s sometimes hard to convey a lot of peanut butter flavor in a cake, but I feel like this one has just the right amount. Then, let’s add some chopped peanuts on top, too, for even more peanutty flavor. 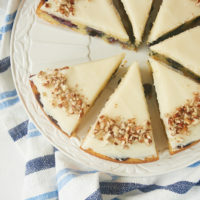 You can, of course, top this cake with something besides peanuts if you like. If you’re a peanut butter and chocolate fan, try some chopped peanut butter cups, or even a simple mixture of chocolate chips and peanut butter chips. I’ll offer one quick note about baking with peanut butter. As a general rule, I don’t recommend baking with natural peanut butter. The texture and composition usually don’t perform quite the same way in most recipes. In my experience, you’ll have more success using regular peanut butter. If you’re craving dessert and nothing but peanut butter will do, then try this Peanut Butter Bundt Cake. 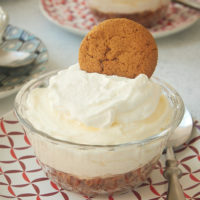 I think you’ll love every peanut buttery bite! 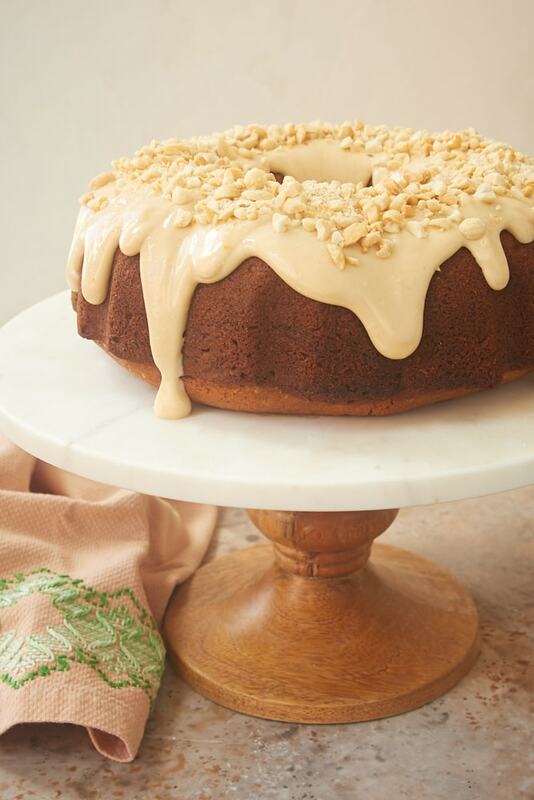 Peanut Butter Bundt Cake is sure to satisfy a big peanut butter craving! Preheat oven to 350°F. Grease a 12-cup* Bundt pan. Using an electric mixer on medium speed, beat the butter, brown sugar, and sugar until light and fluffy. Mix in the peanut butter and vanilla. Add the eggs, one at a time, mixing well after each addition. Transfer the batter to the prepared pan. Bake 60 to 70 minutes, or until a pick inserted into the center comes out clean. Cool in the pan on a wire rack for 15 minutes. Then invert the cake onto a wire rack, remove the pan, and allow to cool completely. 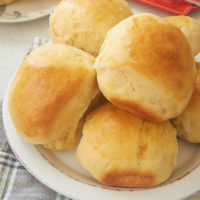 Using an electric mixer on medium speed, beat the cream cheese, peanut butter, and confectioners’ sugar until combined and smooth. Add 2 tablespoons milk and mix well. Add more milk, a small amount at a time, until the glaze is thick but pourable. Top the cooled cake with glaze. If desired, top with chopped peanuts or other garnish. 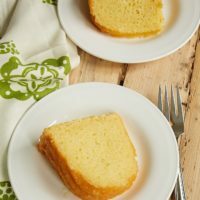 *I’ve made this cake a few times, and I found that I had better success with a 12-cup pan than a 10-cup pan. It will fit in a 10-cup pan, but it’s a little too full for my liking. If you have that bigger pan, I’d definitely go that route. Have you ever made this by substituting 8oz Sour Cream or Buttermilk for the 1 cup of Milk? I haven’t tried that with this recipe. If you try it, let me know how it works. 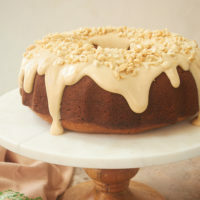 I love peanut butter, but never made a peanut butter bundt before – looks and sounds so delicious! Thanks, Natalie. I hope you get the chance to try it! This sounds good, but I don’t have a bundt pan – what would the oven temp & time be for a 10″ springform pan? or would a 9×13 be better? I’d try a 9″x 13″ for this amount of batter. It will likely take longer to bake, too, but I can’t say how long with any certainty without testing it myself.